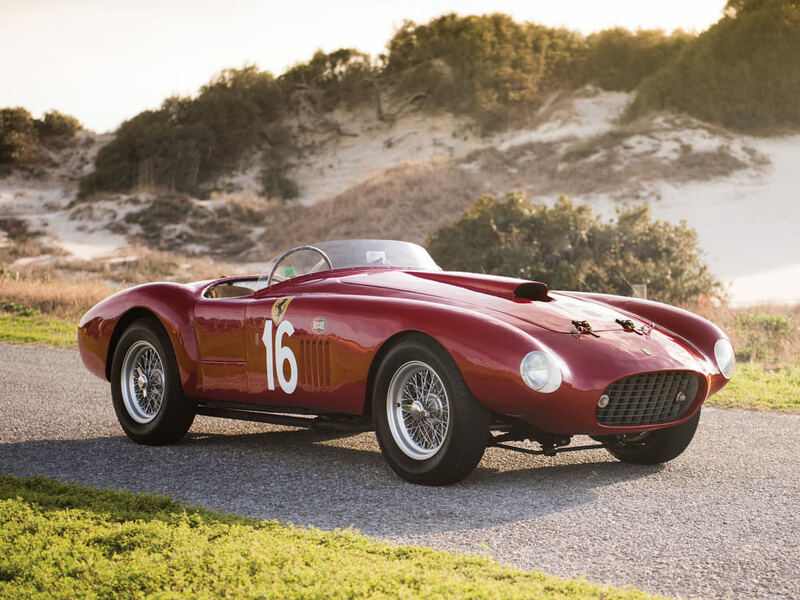 When hearing the name Ferrari, speed and performance immediately come to mind. 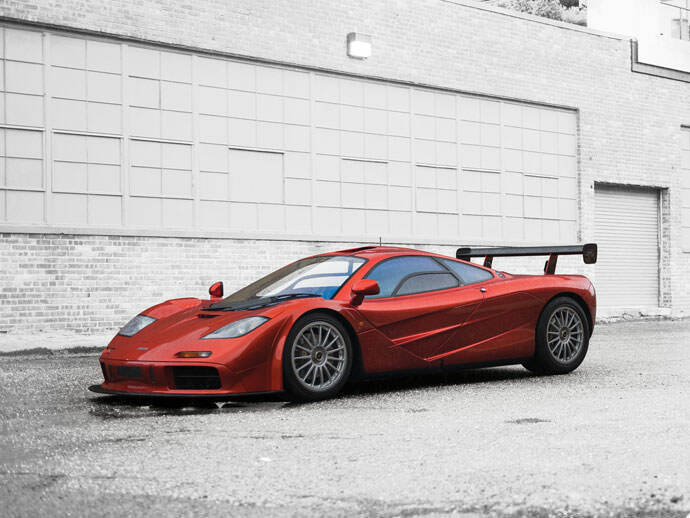 This powerhouse producer has emblazoned the automobile world with numerous samplings of automotive genius. 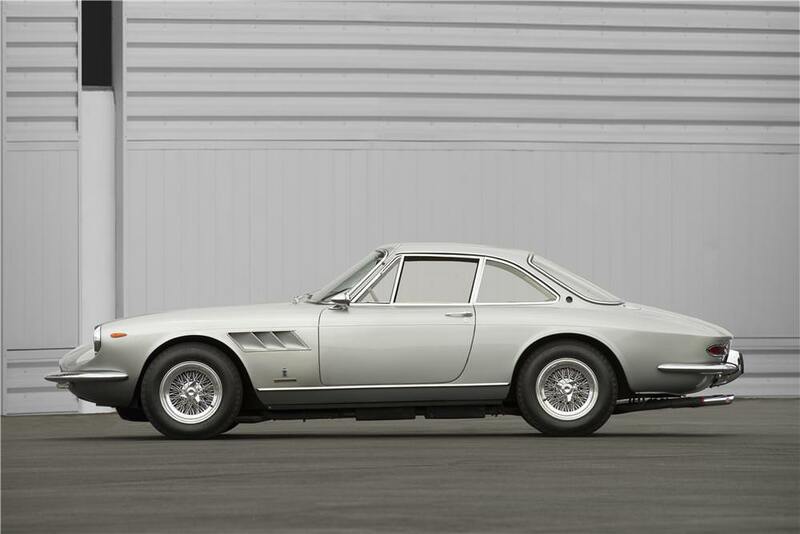 The 1966 Ferrari 330 GTC is no exception. This beauty exemplifies everything that the Ferrari tradition has mastered. 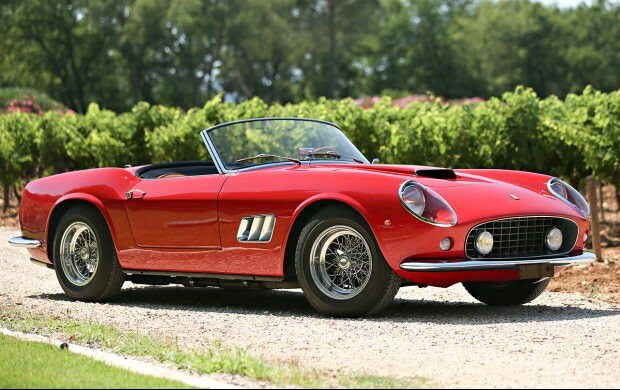 The Pininfarina styling provided the elegance demanded of the top performance machine. 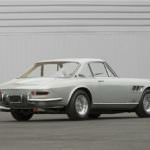 In its favor, the 330 GTC has an independent suspension system among many of the features. Another important element was the addition of disc brakes with servo assist. This allowed for excellent handling and a smooth ride. She runs fast too, reaching speeds of 152 mph. 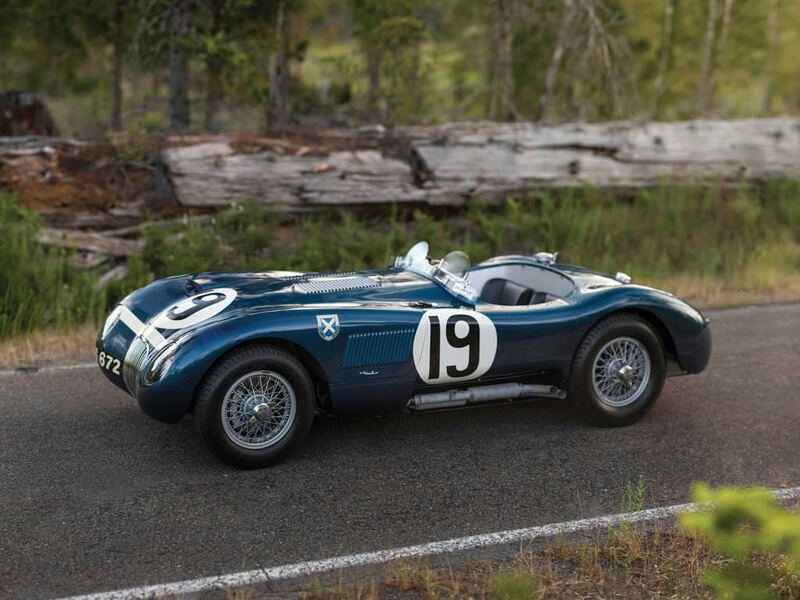 It was recorded to go from 0 – 60 in 6.9 seconds, and 0 – 100 in under 17 seconds. What is it that makes this machine a dream? 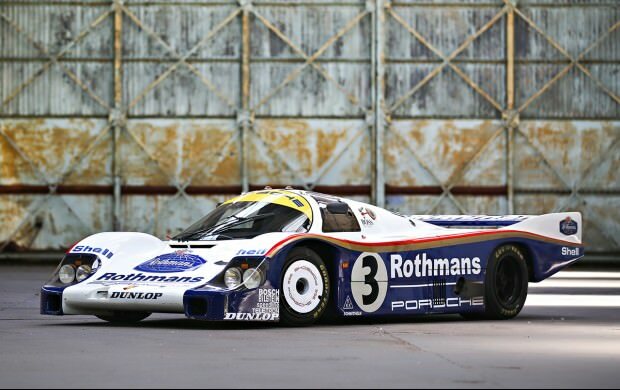 The body features steel over tubular steel chassis. Rear wheel drive and worm and roller steering kept this beast in check. 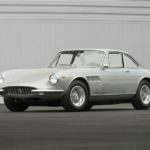 With a curb weight of 2866 pounds and 173 inches from bumper to bumper, the Ferrari 330 GTC was a lovely sight to see. 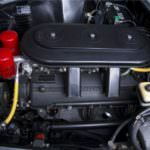 The V12 Type 209 60 engine is supported by an SOHC valvetrain fed by 3 Weber 40 DFI carburetors. The bore and stroke is 77 and 71 mm respectively. 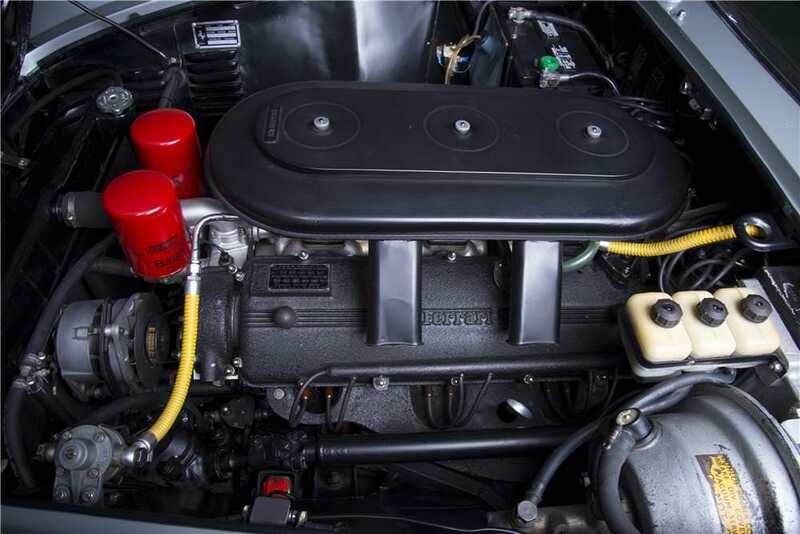 The displacement measures out at 3967cc, and the specific output is 75.62bhp per litre. 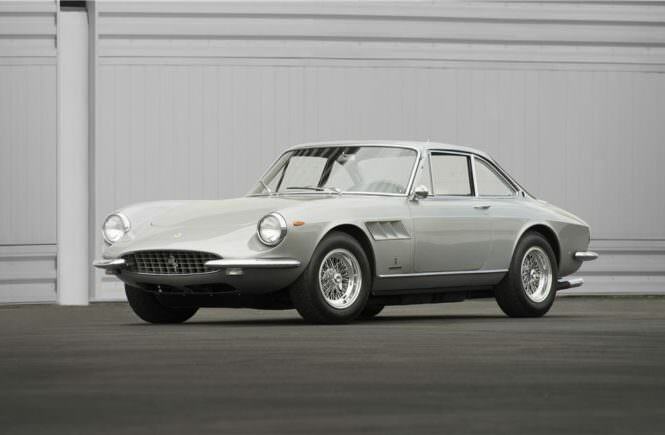 Any auto enthusiast certainly will respect the class and appearance of the Ferrari line. 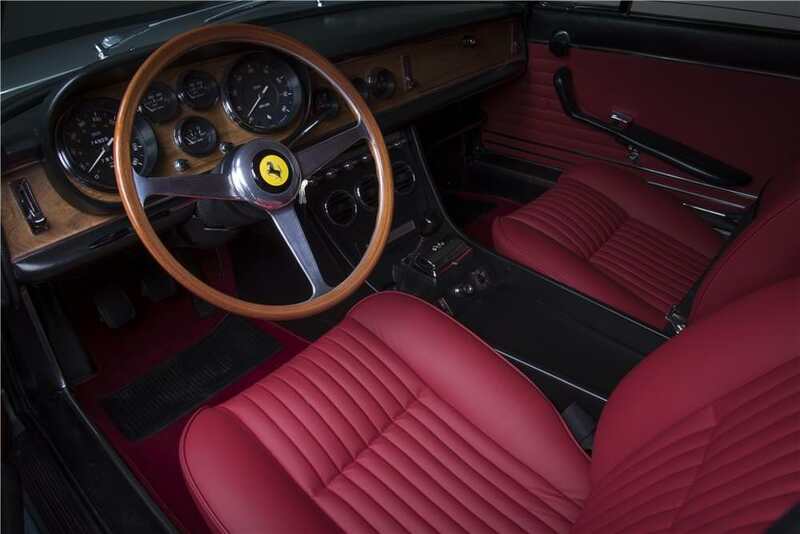 Although the 330 GTC is not high on the list, there is an appreciation of the fine craftsmanship put into the heart and soul of this machine. 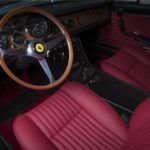 Things that the car is known for is the five speed gearbox and optional air conditioning. 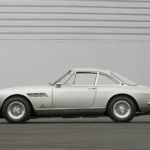 The wheels also had options with a classy Borrani wire wheels, or the traditional 10-hole alloy wheels. 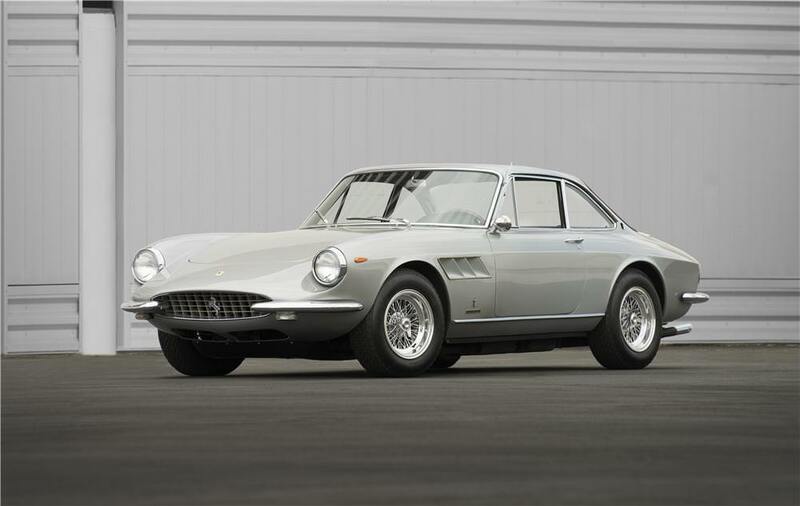 Both provide the striking unmistakable image of a classic Ferrari. 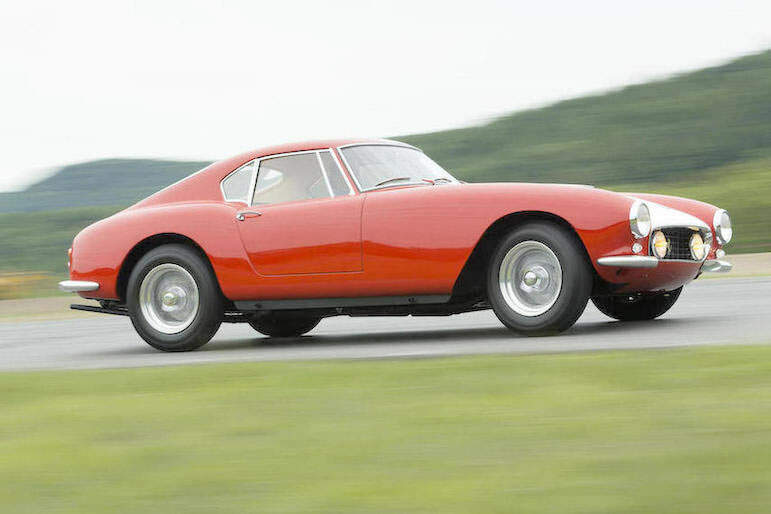 Of the nine 1957 250 Gran Turismo Berlinetta model Ferraris crafted between November, 1956 and July, 1957, with their distinctive fourteen louvres gracing the rear sail panels, eight survive to this day. 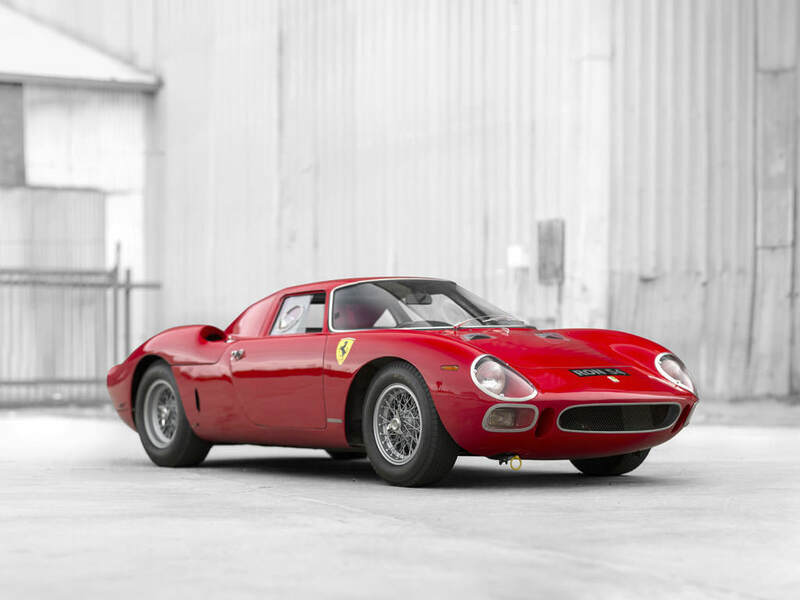 The sole causality was crashed in 1967 by Peter Helms and later scrapped for parts by famed Ferrari aficionado Peter Niles. Carrying a Pininfarina designed body built by Scaglietti with the newest lightweight aluminum and Perspex glass encasing a scantly clad interior and equipped with a 2,953 cubic centimeter overhead cam V-12 engine with triple Weber carburetors, a four speed synchromesh manual transmission, alloy drum brakes, an independent wishbone front suspension, and semi-elliptical leaf springs on a live rear axle. 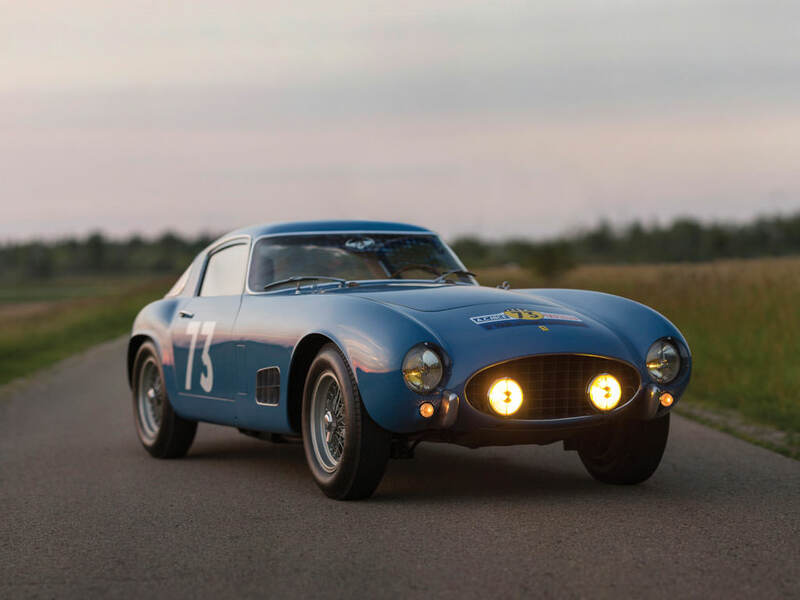 The 1957 Ferrari 250 GT was crafted to excel in the new safer Gran Turismo racing classification born in response to the tragic 1955 accident at the 24 Hours of Le Mans, and excel the Berlinetta did. 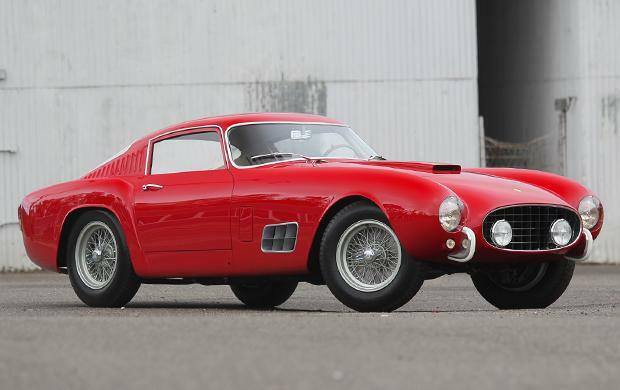 With First Overall finishes at the demanding Tour de France races of 1956, 1957, 1958, and 1959, the 250 GT Berlinetta would unofficially become know at Ferrari as the “Tour de France” or “TdF” model. 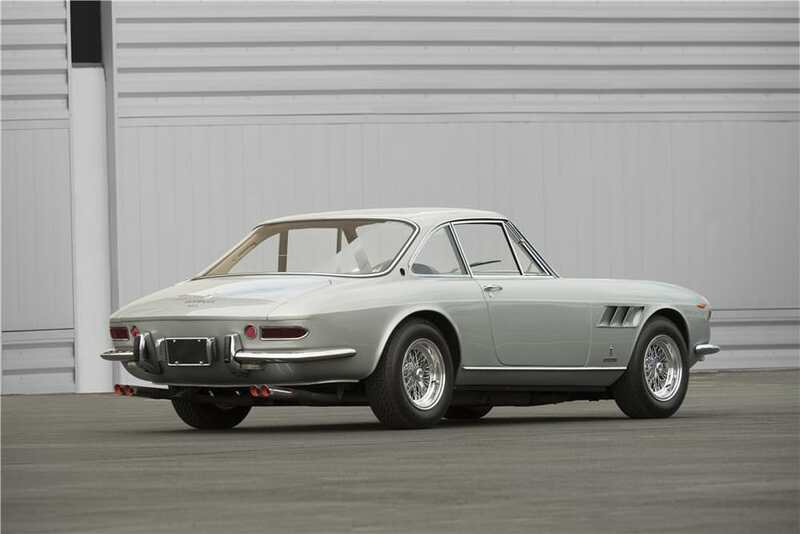 While Ferrari’s progressive development style and their penchant for hand crafted bodies guaranteed no two Berlinettas would be identical, the styling of these nine 1957 250 GT Berlinettas is distinctive and very sought after by automobile collectors and Ferrari enthusiasts worldwide The 1957 GT Berlinettas were designed with lowered front ends, sharply defined and nearly finned rear fenders, and a flatter, less wrapped rear window than previous Ferrari models. 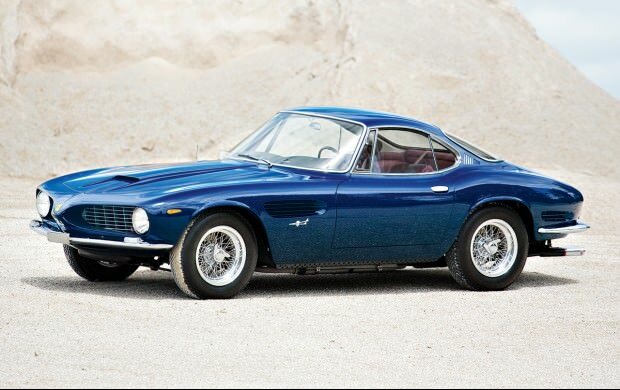 A prominent cold air induction scoop opens up a large portion of the 1957 Berlinetta’s long low hood, but its most defining elements are the fourteen louvres that sweep down the rear sail panels from roof line to rear fenders. 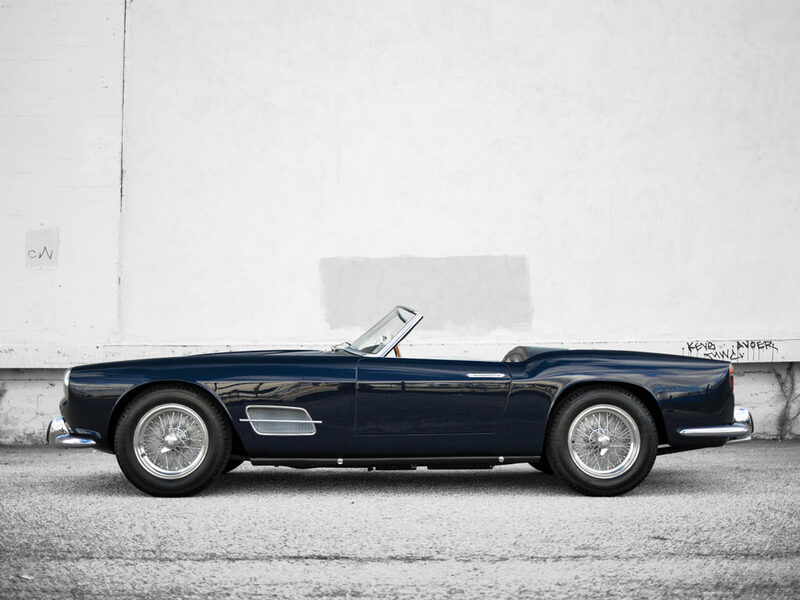 Later editions of the GT would reduce the louvres to three, then one or none, making the 1957 a visual standout in the Ferrari pantheon.